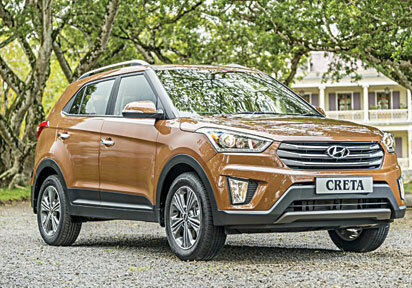 Hyundai Motor Company has launched of the Creta, a new sub-compact SUV, in Africa and the Middle East market. This addition to the Korean manufacturer’s car line-up marks the brand’s debut in this fast-growing segment and is set to appeal to buyers looking for an affordable SUV in a stylish, high quality package. The launch which took place in Mauritius was preceded by a test-drive by Journalists from Middle East and Africa. The Creta combines a classy ‘Modern Premium’ interior and exterior with a robust body structure and impressive performance and handling. On the road this dynamic SUV makes a strong visual statement thanks to Hyundai Motor’s acclaimed ‘Fluidic Sculpture 2.0 Design philosophy’. Jin Kim, Vice-President and Head of Operations for Hyundai Motor Company Africa and Middle East, said: “This is a SUV that has been designed for a new generation of customers who are looking for vehicles which demonstrate forward thinking design and world-class quality at an affordable price. At the front the Creta’s elegant and distinctive character is illustrated by the triple slat chrome front grille, smoothly creased hood, LED-integrated headlamps, stylish skid plate and dual tone front bumper. The vehicle’s dynamic look is accentuated from the side by the rising beltline and sloping roofline while split type tail lamps with chrome edges, a sporty bumper and a stylish shark fin antenna complete the modern look at the rear. In line with Hyundai Motor Company’s Modern Premium brand direction, the interior of the Creta delivers class-leading levels of comfort and convenience. With plenty of space for five passengers, the use of high-grade materials is complemented by best-in-class noise, vibration and harshness (NVH) performance thanks to the combination of enhanced sound absorption materials and advanced engineering design, all ensuring an exceptional travel experience. Affordable, yet impressively well-equipped, the Creta offers a number of advanced features more usually found on more expensive cars. Highlights include a smart key and push button start, a rear parking assist system and a rear view camera linked to the five-inch central display unit. A central cluster ionizer and mood bar is also available. The Creta is driven by a choice of refined, powerful and efficient engines, available depending on market. The petrol option is a 123ps 1.6 MPI unit while diesel options include a 90ps U2 1.4 CRDi powerplant and 128ps 1.6 CRDi VGT offering. These are mated to 6-speed manual or automatic transmissions depending on engine. Creta occupants can rest assured that they are inside the safest car in the segment thanks to its unique, ‘Hive structure’ body shell which has been developed using advanced engineering techniques and which uses ultra-high tensile steel for more body rigidity and structural strength. The Creta can also be specified with ABS, ESP, VSM, and six airbags.